The season of Lent for devout Catholics usually means offering sacrifices and working to have a closer relationship with God. But for the rest of us, especially in Catholic countries like the Philippines, and, yes, I am guilty of this too, it means vacation time. Now I’m not trying to foil things over to say that you can’t go to the beach and have fun. St. Teresa of Avila advised that we ought to enjoy the blessings we receive from God simply because it pleases Him to grant them to us. But do we at least once consider that these blessings, which we enjoy as gifts, have a price? That our very salvation has been bought and paid for at so great a cost?! And if we reflect on the wretchedness and gravity of the sins we have committed, we can say with utmost conviction that instead of rejoicing in our freedom, we deserve Hell. Each one of us, even our snooty neighbor, is made in the image and likeness of God. We are literally walking, talking, breathing photographs of Him, such that every offense we do to each other we do to Him. We can use an example of (insert politician’s name) haters defiling the picture of the person they hated since they cannot touch the actual person. But, in our case, we aren’t lifeless photographs, we have the ability to be hurt. There are more or less seven billion humans existing today. That’s how many we are. Now imagine each of us, including those multitudes who lived in the past, eating and drinking, wasting our lives, offending God and each other, being indifferent to one another. If God had sent an average Joe to bear all our sins, he’d be crushed! Yet Jesus, in His great love for us, suffered all of that willingly! Reflecting on my own experience, I saw that one of the reasons that I imprisoned myself in my hardened heart was because I thought I was abandoned and was deeply hurt by others. To be vulnerable meant to be a victim and I did not want to deal with any more pain. The more I focused on my suffering, the more I loved myself, and this kind of love gave way to pride and indifference towards others. I think this is why the world suffers today. Each of us have turned myopic on our own selves that we literally shut ourselves within our inner fortifications. We fear that nobody loves us and that everyone is out to get us. We deny sin while claiming ourselves victims, not realizing that in the hardness of our hearts, blinded with pride, we have become oppressors towards God and to others. In the visions granted to St. Margaret Mary Alacoque, Jesus literally opened the veil of His resurrected human nature to show her His Sacred Heart which up to this very moment still burns and aches for us, calling us to Himself, pleading, “Let me love you”, “I will save you from your agony, I only ask that you give me your heart so that I may love you and you may love Me”! And He is still waiting. The Eucharist is proof of that love with which He sacrificed Himself on the Cross for us. He made Himself so humble that He allows Himself to be vulnerable by being a little piece of bread silently watching, patiently on the watch for a soul He so deeply loves to visit Him, in every lonely tabernacle somewhere in the world. He longs to be united to us, to tell us that even when we have abandoned Him, hurt Him, turned our backs on Him, He is willing to forgive us and renew us unto Himself and continues to tell us that He has never abandoned us. Never. Not once. The only thing He asks is that we love Him back. We were loved into existence. The reason why we can read this note at this very moment is because God still thinks of us and loves us. On one occasion, as I have read several times in one of my Facebook groups, Jesus, in a vision to St. Teresa of Avila said, “I would create the universe again just to hear that you love me.” And surely enough, it wasn’t addressed to the saint alone. All of us are being wooed by Christ so to speak. So how could we love Him back? How could we be grateful for such an amazing love poured out for us? For the sacrifice of the Cross through which He continues to save us? Well, go to Confession for starters. All He asks of us is that we are truly sorry for our sins and to promise not to hurt His Adorable Heart again. He is our Saviour. He assured us through the authority He gave to His Bride, the Church, that He would absolve us and thus prepare for Himself our hearts to be His abode. He calls us to be living tabernacles where He could reside and love us. To receive Him in the Sacrament of the Eucharist in a state of grace so that being close to Him, the fire of His Heart will cleanse us of the dross which, in our sinfulness, we have made for ourselves. Of course, being fallible beings that we are, we need to ask Him to grant us the grace required for a perfect contrition and final perseverance. We cannot save ourselves and that is why we need Him. Never be afraid to ask Him for He is generous. Let us ask Him what it is that keeps us from loving Him and He will help us. Pain, I guess, is necessary. If we sincerely sorrow for our sins, then Jesus would have triumphed over us. 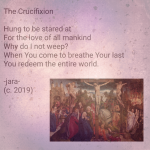 For those of us who cannot yet go to Confession, we can offer up our agonies in reparation for the hurts we caused His Most Sacred Heart starting now in the hope that He will someday turn our weeping into eternal rejoicing. 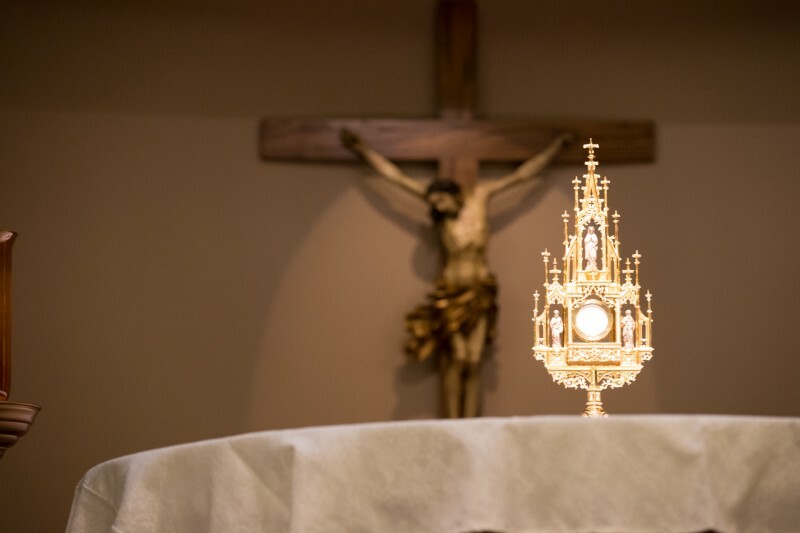 The beauty of this devotion which He lovingly left us through St. Mary Margaret, is that we are given the ability to console Him by visiting Him in Adoration or, if we cannot physically go, adore Him in our repentant hearts. So, what are we waiting for? We have no reason to be afraid of God who has done nothing but good to us. Read about the devotion to the Sacred Heart and share it to anyone you think needs it. If we need God, I’m sure there are many others who do too. And may I ask you, dear readers, to pray for me also and for the world. May God bless you and Pax Christi.